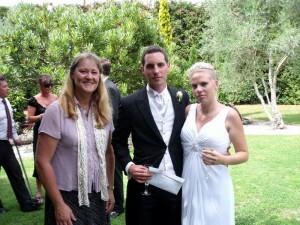 What I love about weddings, is the personal aspects. Of course I always write something unique and different for each couple and I love writing their personal stories…. but it is great to see couples adding their own unique touches. Here are some examples from some recent weddings. 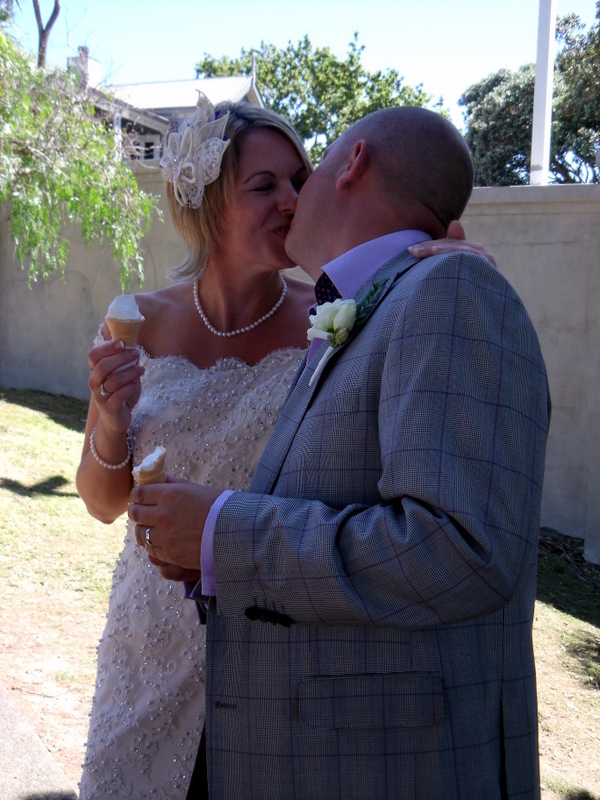 Lisa and Jay married on one of the hottest days of the year. 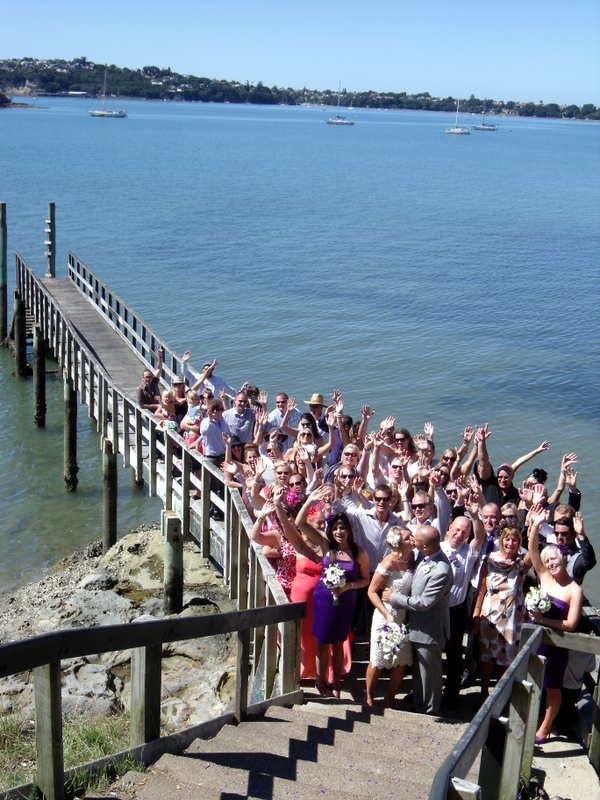 It must have looked like paradise for so many of their English guests, to share their wedding on a jetty close to Lisa and Jay’s home in Herne Bay. As a special delicious treat, they had an ice cream van waiting to serve ‘Mr Whippy’ type icecreams to their sun kissed guests. Delicious! 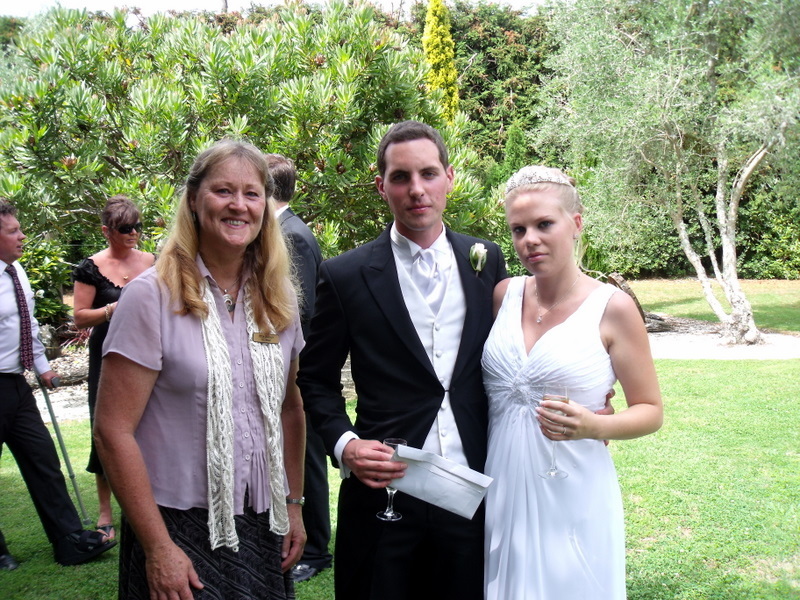 Kathryn and Michael married at beautiful Markovina Vineyard Estate. 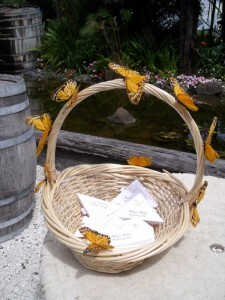 The balmy weather was just perfect for releasing butterflies. This was done by all the bridal party and the parents as well. The butterflies just finished off the ceremony beautifully. Sally and Mike chose a small intimate family wedding atop Mt Albert. Although it isn’t in the photo, there were 3 small neices who did a great job as the official bubble blowers. 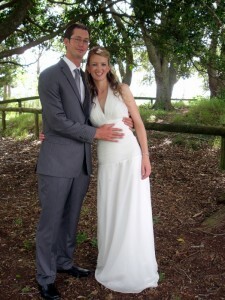 Today, I married the lovely Nic and Paul at Gracehill. 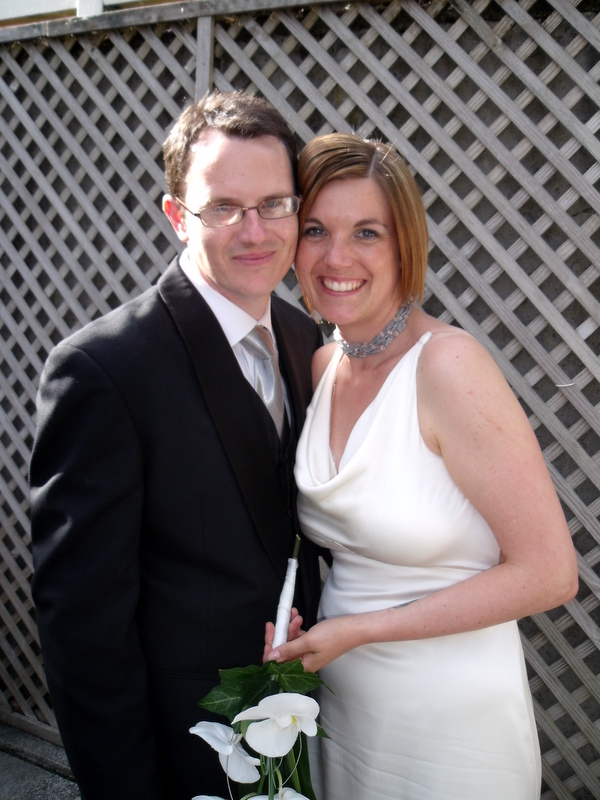 Nic honoured her German ancestry, by not only having a reading spoken in German, but also saying her vows in German as well. 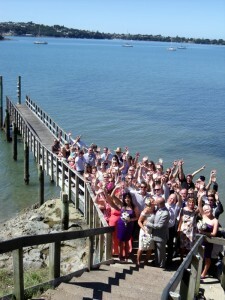 Having those little personalised touches certainly make wedding ceremonies unique and memorable.